Got a small applicator which quite good IMO. All Japanese brand make up usually get a good applicator.
. baby pink, has a lot of fine glitters in it. 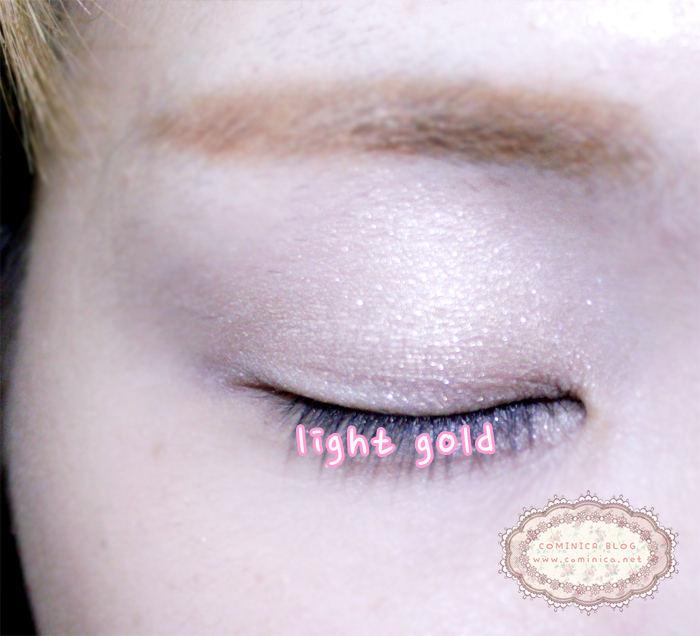 Use it as a base color or for lighten eye area.
. light gold, has a lot of fine glitters too! Can use as a base or for under eye area.
. medium brown, warm brown with subtle shine.
. dark brown, has subtle shimmer and satin finish. Not that pigmented as I expected. without any base, color shows really good. With a base, I don't really like baby pink and light gold one, lol. 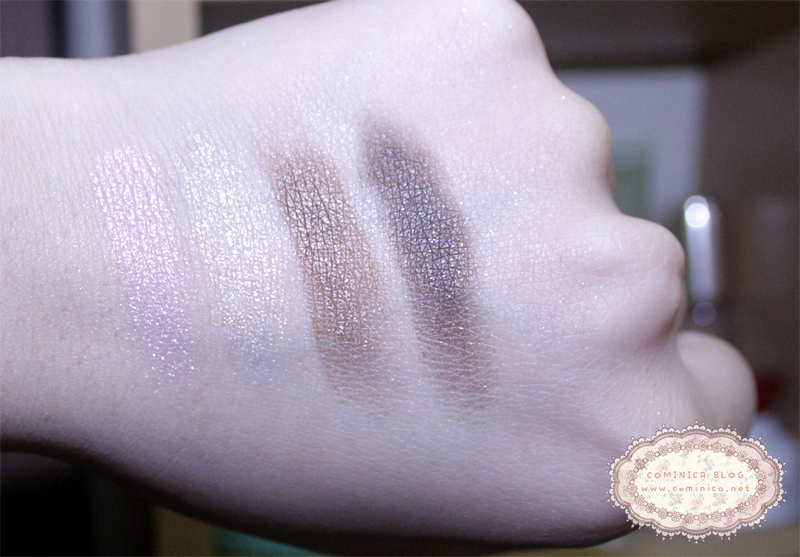 I think the glitters are to much, remind me of Etude house eyeshadow -.-""
Here's all the colors on my eyes. 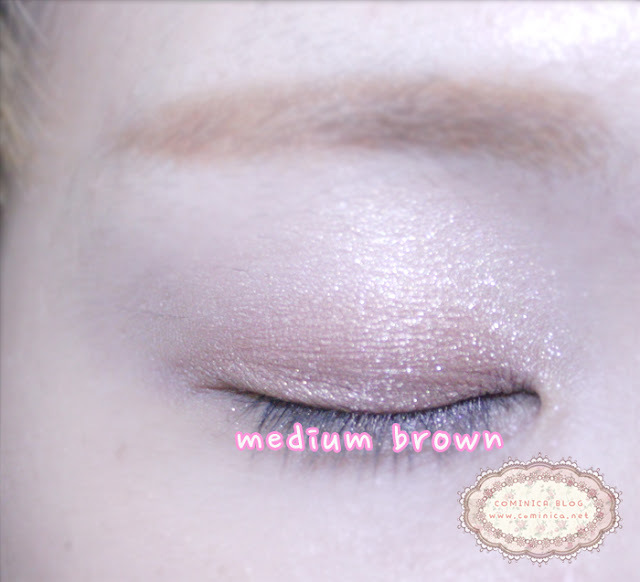 Soft baby pink color with a lot of fine glitters, not as much as etude's though. Instantly brighten eyes make it look sparkly. Light gold color, almost like my skin color. Has glitters too, but not much. I love to use it on my brow bone, subtle and pretty. Medium brown color, looks good to define eyelid with medium tone. Subtle result for natural make up. Dark brown color, apply near to eye line to make our eyelid more formed. Applied on lower eye and Dolly Wink brown mascara for a natural result. Pretty right? But colors are good that.. 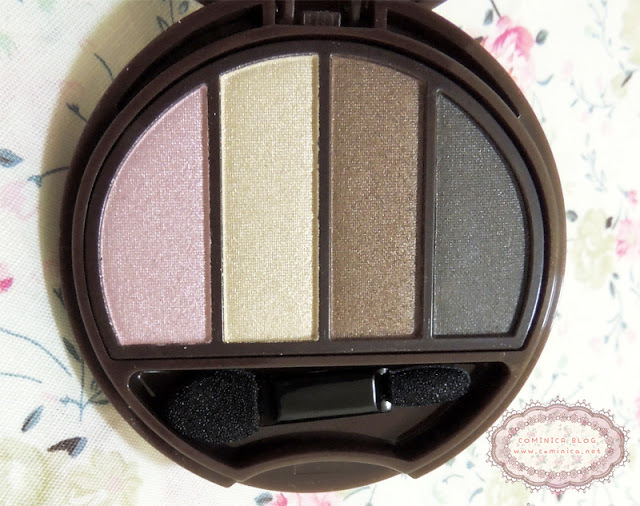 These are really pretty and neutral colors :) I like them! The glitter is very pretty, even though you don't like it it looks nice at least. the packaging is totally cute and all the colors are so wearable for everyday use! wow!I just got no time to try it on but I shall try it soon! I have recently just bought mine, I'm excited to try it! 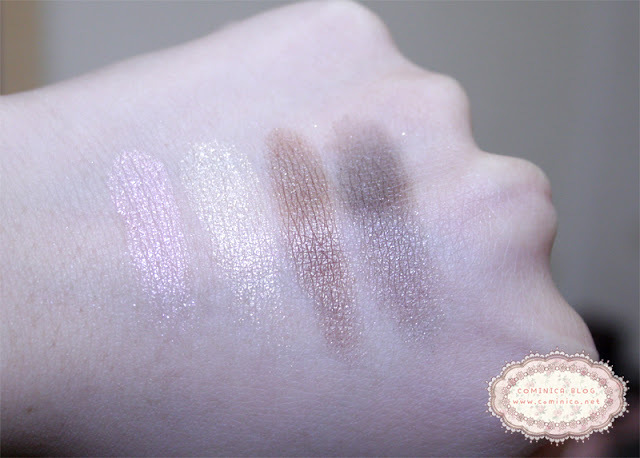 the colors are really cute but too much shimmer, aww.